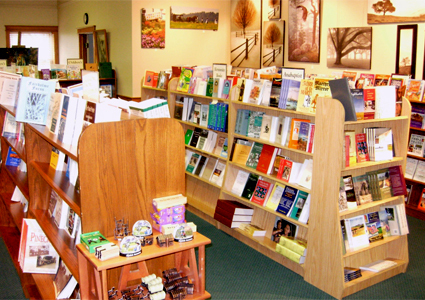 Our Bookstore offers a wide selection of books and videos by and about the Amish, Mennonites and Hutterites. Find resources for a quick read or in-depth research. The Music center features compact disc recordings by choral groups or solo performers, and original recordings of Amish singing. Videos provide a glimpse into the lives of the Amish and Mennonite community. Not finding the books what you are looking for? Custom searches can be requested by phone (330-893-3192) or email director@amheritagecenter.com. 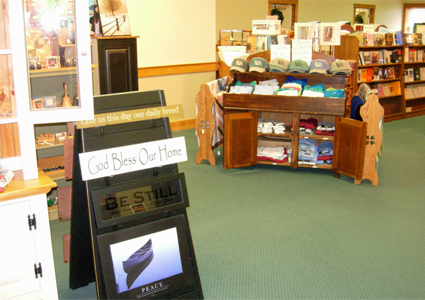 The Gift Shop features authentic handcrafts of the Amish and Mennonite community. Basketry of the area reveals life patterns woven into simple forms of utility and beauty. Wooden and fabric crafts sample the values and traditions of the community. Souvenirs and mementos of the region help make your visit memorable. 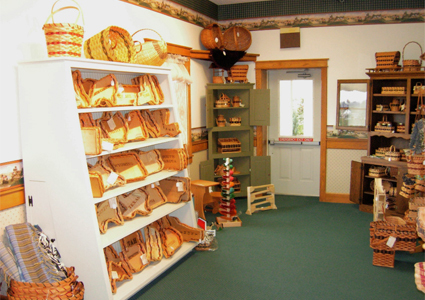 The Amish & Mennonite Heritage Center is the place to get your authentic souvenirs from Amish Country. We feature fair trade handcrafts from around the world. You will also find literature, maps and brochures to help you plan your visit in Holmes County. Our genealogy resources include family histories, directories and topics for those who have caught the bug for uncovering new branches of the family tree. A computerized database provides digital research in the genealogy of Amish and Mennonite origins. In addition, the center holds a reference collection of family histories and genealogical records. 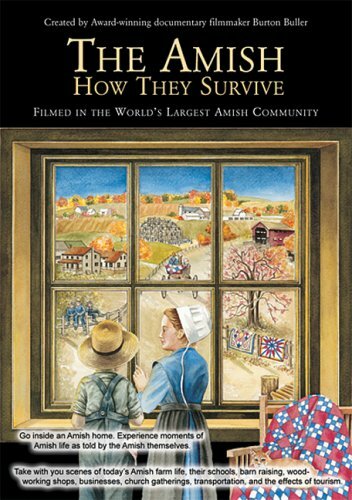 The Amish: How They Survive, is a feature-length video documentary by acclaimed filmmaker Burton Buller, provides an unprecedented look into the lives of the Holmes County, Ohio Amish community—the world’s largest Amish settlement. Listen as members talk openly about their faith and lifestyle as they grapple with survival in a technology-driven society. Holmespun: An Intimate Portrait of an Amish and Mennonite Community, by Amanda Lumry & Loren Wengerd, professional photographers; text by Laura Hurwitz. 174 pages of color photos and text. 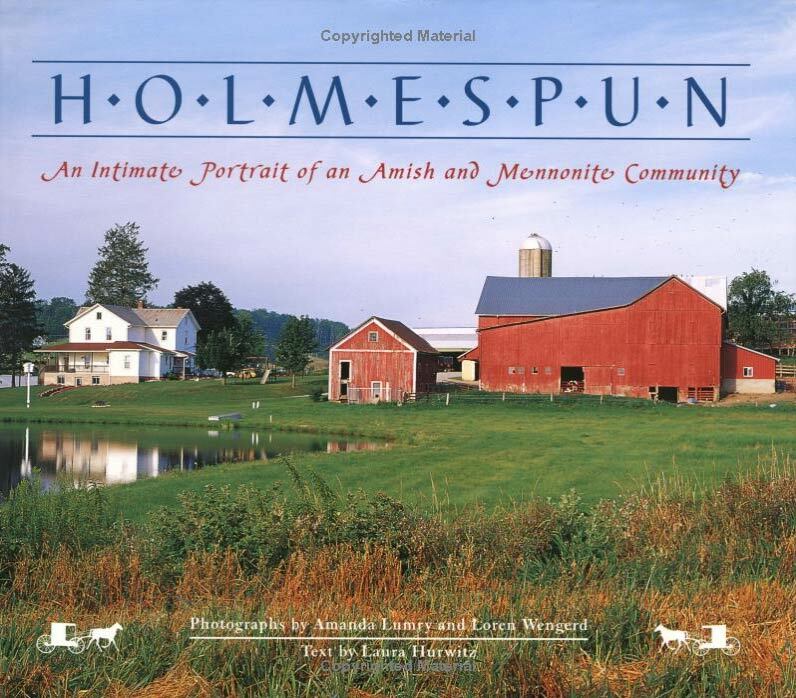 Through intimate interview and candid photography, Holmespun delves into the heart and soul of the community of Holmes County, Ohio, home of the world’s largest community of Amish and Mennonites. From watching a thousand men raise a barn to sitting with a Mennonite woman as she stitches a quilt to life, a common thread emerges. Whether on a grand or small scale, the Amish/Mennonite community believes that one’s life should be dedicated to God and helping others.